IT sounds like a tall story — but these amazing snaps feature a real-life family who kept a giraffe as a pet. 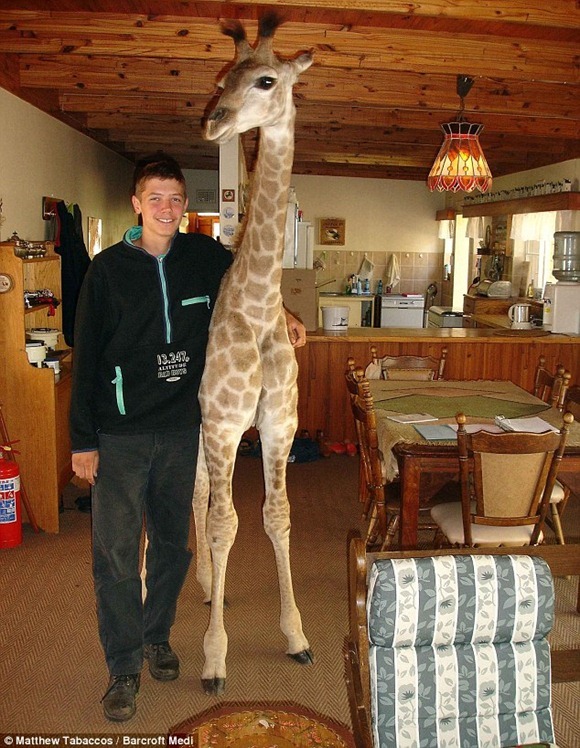 This is friendly Fenne, the pet giraffe who roamed freely through the home of a family of six as they ate, slept and played – and used to come running just like a bounding puppy whenever her name was called. The adorable animal happily walked around the home of Colin McRae, 59, wife Theony, 52 and their four children on their ranch in South Africa, taking extra care not to slide about on the tiled floor and stooping to get through doorways. She lived with the family from birth, growing from five to ten feet tall by the time she was two.